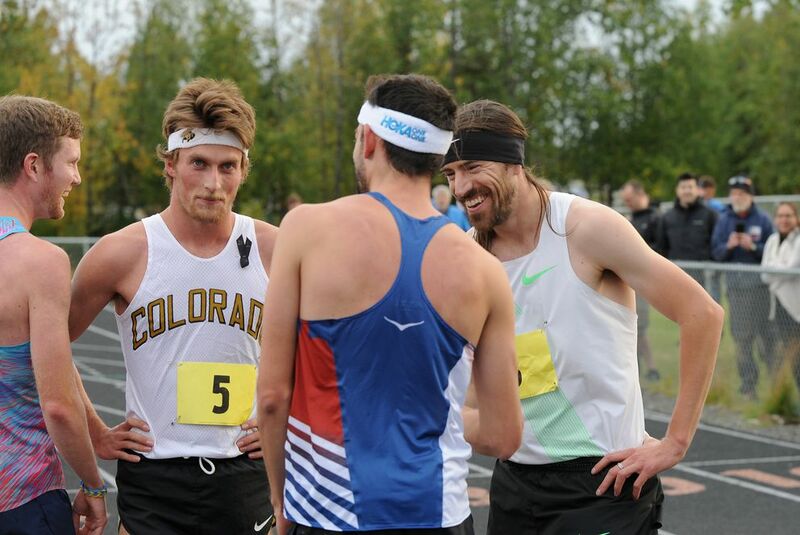 Ben Blankenship is an Olympian and a national champion miler, a Nike-sponsored athlete who competes in Diamond League international meets that draw the world's best track and field athletes and have taken him around the globe. In the last week, he's raced back in his home state in Duluth, Minnesota, and at the 5th Avenue Mile in New York City. This week, Blankenship's in Alaska on an expenses-paid trip for two races. 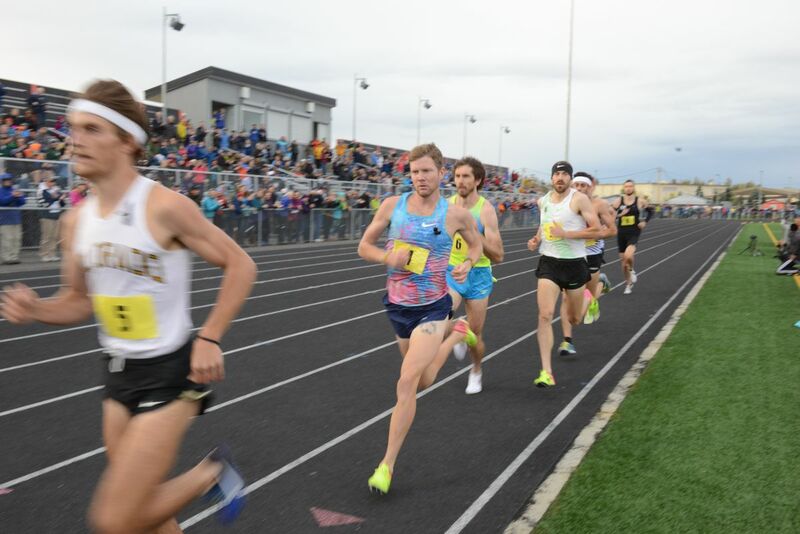 He and his buddies who raced in Wednesday night's Great Alaska Mile Series before 1,000 or more adoring fans at the West High track have planned a run in the Chugach Mountains for Thursday. There's a fishing trip on the docket Friday in Kodiak ahead of Saturday's mile on The Rock. So, yeah, life's pretty good. Blankenship's doing what he loves. He's using his gift. He's traveling the world. "I can't be any happier to be up here in Alaska," Blankenship, 28, said ahead of Wednesday's race. And he doesn't take any of it for granted, because five years ago all of this would have seemed like a pipe dream. Back in 2012, Blankenship wasn't racing. He wasn't even training. A couple of injuries — hip and back — while at the University of Minnesota shelved him before his pro career even started. So he spent some time working excavation for a buddy in Colorado, which seems a tidy metaphor given that his running career — if you could even call it that — had plunged into a hole and was trending toward a dirt-nap. Blankenship was trying to figure out his life, pocket some money. Another working-class dude. A trip to London to watch the 2012 Olympics sparked what became a running resurrection. Blankenship slowly started training again, hooked up with the Oregon Track Club, moved to Eugene, Oregon, and piece by piece — distance running demands fierce labor, time and patience — regained the form that made him an All-American for the Gophers. He finished third in the U.S. Olympic Trials 1,500 meters in 2016 to earn his way to Rio, where he finished eighth in the 13-man field in the 1,500 final. Blankenship has a distinctive race-look — bearded, his long black hair in a ponytail, secured by a headband, a tattoo of the state of Minnesota on his right thigh. He holds to a philosophy that racing should be entertaining, that it should summon the clapping and cheering that Wednesday's race brought from the fans, all of whom got in free. "I always want to finish a race knowing I worked as hard as I could," he said. "That I did everything I could, and I couldn't have done any better." So it was in Wednesday night's wind-whipped quest for a sub-four-minute mile on Alaska soil, where the field of friends assembled by Kodiak's Trevor Dunbar, Alaska's only sub-four man, endured stiff gusts to entertain. Down the homestretch, Blankenship pushed ahead of leader Colby Alexander on Alexander's right. And then came Kyle Merber, a blur on the outside, winning in 3:59.36 to Blankenship's 3:59.67 and Alexander's 4:00.01. "I didn't know Kyle was there," Blankenship said. "He ran a really good last 100 (meters). I knew he was coming, I just didn't know when." Dunbar, who finished fourth in 4:02.21, played gracious, if sacrificial, host, taking a bullet for the field. He took the lead on the third of four laps, breaking the headwind when the going really got tough, and Alexander took over the lead on the final circuit. At race's end, the runners jogged close to the fence along the front stretch, slapping hands with fans. The racers circled counter-clockwise along the back turn slapping more hands. "The crowd was really into it," Blankenship said. "Great turnout." As Blankenship made his way onto the infield and sat down to put on some warming layers and change out of his spikes, the crowd filtered to the parking lot. A handful of teenage runners walked past Blankenship, thanked him and exchanged hand slaps. "Thanks for coming," Blankenship told them. "Really appreciate it." He doesn't take any of this for granted.